Since figwort is a heart stimulant, it should be avoided by those with heart disease or irregular heart rates. Native to Europe, Central Asia, and North America, figwort is an upright perennial herb growing to about three feet. It has a square stem, oval leaves, small, round, brownish flowers that grow in clusters, and green seed capsules. It thrives in wet or damp places, in open woodlands, on riverbanks, and along ditches. The herb is gathered in summer while in flower. Previously, figwort was known as the “scrofula plant” and hence its botanical name. It was used to treat abscesses, purulent wounds, and the “King’s Evil”, or scrofula. Scrofula is a type of tuberculosis of the lymph glands in the neck that swell to form hard, protruding lumps beneath the skin. Since figwort resembles these swollen glands, according to the Doctrine of Signatures which states that a plant’s appearance indicates the ailments it is to treat, figwort was destined to be used to treat this disease. Culpeper (1653) called the herb “throatwort” because it was used to treat scrofula. He also mentioned that it was used to remove redness, spots, and freckles from the face. During the 16th and 17th centuries, figwort was esteemed as the best medicinal plant for relieving all kinds of swellings and tumors, an idea which continues today throughout Europe. The iridoids are thought to be responsible for its action as an antiarthritic. Infusions of the leaves are used whenever there is a buildup of toxins as in rheumatic conditions, lymphatic disorders, or such skin problems as eczema or psoriasis. 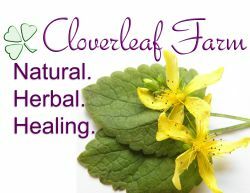 Tinctures of the leaves are taken in combination with other digestive herbs for constipation and sluggishness or combined with such herbs as yellow dock, bittersweet, or burdock for skin conditions. Compresses are soaked in the infusion and applied to painful swellings, wounds, and ulcers. Washes are made from the infusion to treat eczema, skin inflammations, and fungal infections. Decoctions of the root are used for throat problems, including swollen glands and tonsillitis. It is also prescribed for deep-seated abscesses and lymphatic swellings and as a yin tonic and taken with salt in China. Scrophularia aquatica (Water figwort) and S. marylandica, an American figwort, are used in the same way medicinally as the S. nodosa. The Chinese use S. ningopoensis (Xuan Shen) to treat infections and to clear toxicity. The root is a prime remedy for “fire poisons”, as it has a reputed “cooling” effect. Unlike the common figwort, this variety relaxes the heart, lowers blood pressure, and has a slightly sedating effect. It also replenishes the “vital essence” of the body. Figwort is used mainly as a detoxifier; but, when used externally, it will speed the healing of burns, wounds, hemorrhoids, ulcers, eczema, and psoriasis. It is also reputedly to be effective in expelling worms and is a mild diuretic.